Local Company. Personalized Attention. Freshness Guaranteed. PREMIUM QUALITY! We make absolutely certain we're bringing our friends the best available produce. That's why you'll get Dole™ brand bananas, Washington apples, and the finest of all other varieties while keeping things affordable. The keyword for us is "value"...value delivered to Dallas, Fort Worth, and Houston. PERSONALIZED ATTENTION! The ORCHARD At The OFFICE team, from our customer service staff to each of our drivers, are friendly, knowledgeable, and always willing to help you out. We'll accommodate your specific requests in a manner that lets you know you're part our family. UNIQUE PRESENTATION! Most of our customers receive our fresh fruit artfully arranged in our iconic wicker baskets. Larger offerings come in more standardized boxes. We are always willing to display the fruit we deliver in any location or manner you'd like! FRESHNESS GUARANTEED! 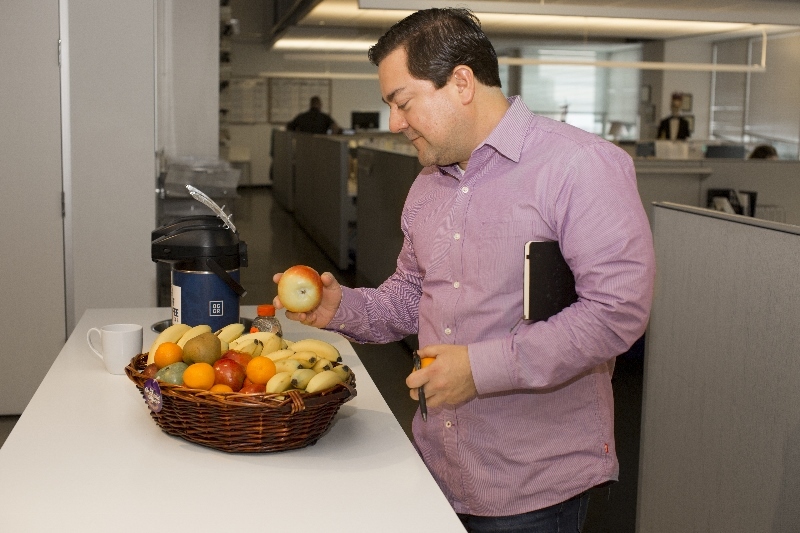 Every piece of fruit delivered by ORCHARD At The OFFICE is hand-selected and guaranteed to be free of damage or spoilage. If for any reason you are dissatisfied with your fruit, we will happily offer you a fresh replacement or full refund. CONVENIENT ARRANGEMENT! Delivery is easy to coordinate. We will bring fruit to your office Monday through Friday, nearly always from 7:00am to 1:00pm. We can deliver as many times during the week as necessary. If you order baskets, we request that you save them, as we will pick them up for recycling purposes. If your company occupies several floors, or you have any special requests, let us know how you’d like the order to be split up and we’ll be glad to accommodate. SIMPLIFIED SHOPPING! ORCHARD At The OFFICE offers several payment options. It is recommended that weekly deliveries are handled with credit card payments, but we can also invoice your company on a weekly or monthly basis. We require no contracts, so you can try us out with no long-term commitment. You are also free to alter your delivery schedule at any time. If for some reason you must cancel a scheduled delivery, we ask that you give us 48 hours’ advance notice. CALL 972.295.9091 FOR OFFICE FRUIT DELIVERY!